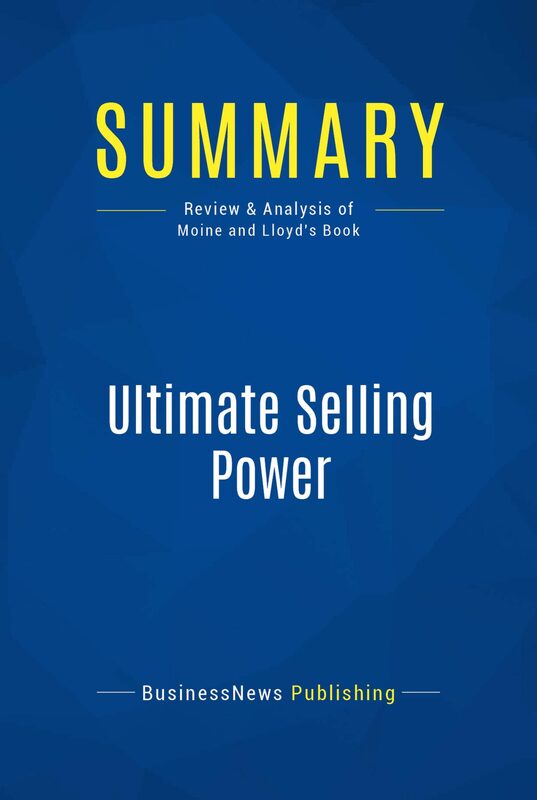 The must-read summary of Donald Moine and Ken Lloyd's book: "Ultimate Selling Power: How to Create and Enjoy a Multimillion Dollar Sales Career".This complete summary of the ideas from Donald Moine and Ken Lloyd's book "Ultimate Selling Power" asks a fundamental question: "What do the most successful salespeople do better than the rest?". In their book, the authors explain that they simply apply the key principles of selling better and more effectively than the average salesperson. They also cultivate and maintain a mindset of success which underpins everything they do and every action they take. This summary provides readers with the 11 basic things that sales millionaires do differently and how they can be learned and implemented.Added-value of this summary:• Save time• Understand key concepts• Expand your knowledgeTo learn more, read "Ultimate Selling Power" and find out how to increase your sales performance in today's business environment.